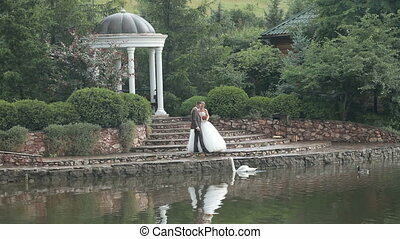 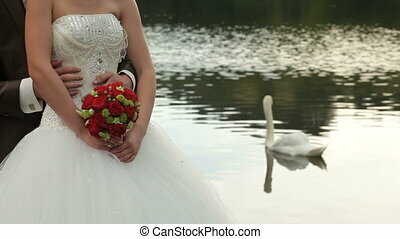 Newlyweds by the lake. 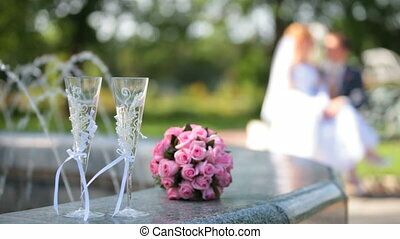 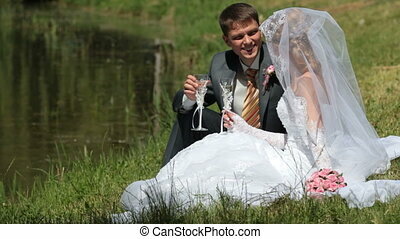 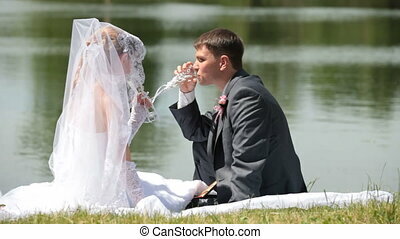 Bride and groom drink champagne sitting on the shore of lake. 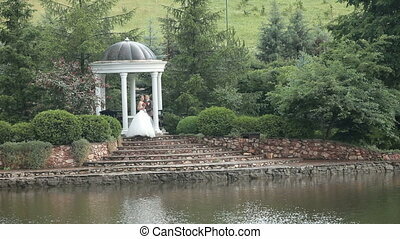 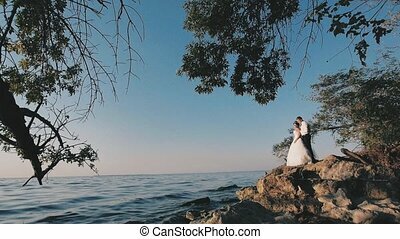 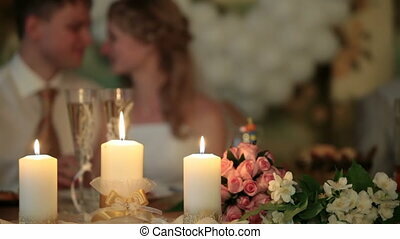 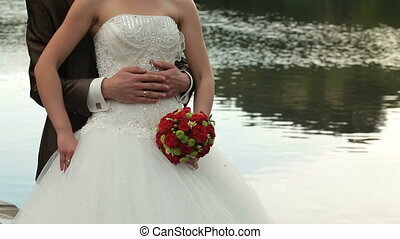 Bride and groom exchange their wedding vows with a lake in the background. 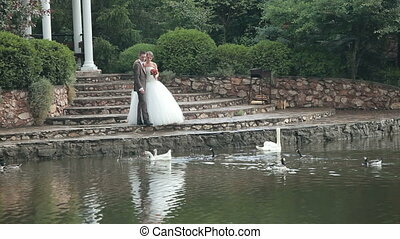 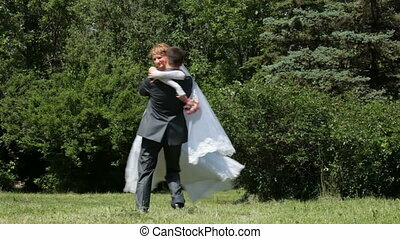 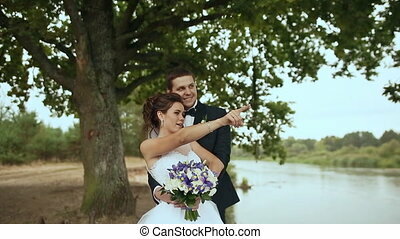 The groom embraces the bride, and they stand by the river.